Explained: What is the origin of idea of Universal Basic Income in India? 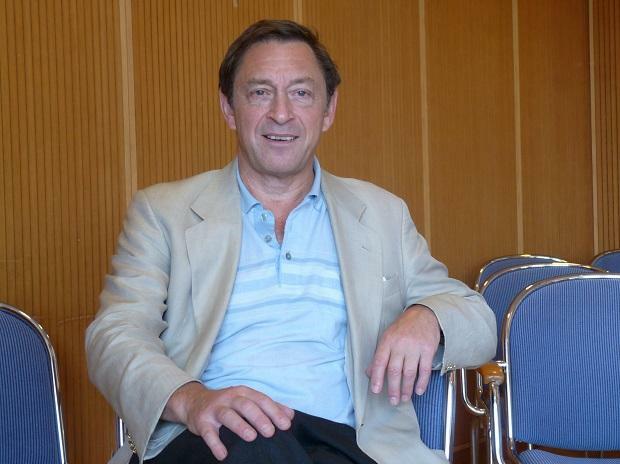 As political parties across the spectrum evaluate various models of guaranteed basic income, renowned British Professorial Associate of Development Studies at the University of London and co-founder of the Basic Income Earth Network, Dr Guy Standing said that India should start with a minimum Rs 500 per individual per month comprehensive basic income programme to a wider section of the population and avoid falling into the trap of any sort of targeting or exclusions. Standing, who has written widely in the areas of labour economics and unemployment, also said that any basic income should be provided on an individual basis and not on the basis of households. Standing is the author of the well-known book 'The Precariat: The New Dangerous Class'. His pilots on basic income models and extensive research on the topic spans several countries. “It is much cheaper to do a comprehensive scheme rather than indulging into a targeted intervention for which one has to spend funds on finding the beneficiaries, identifying them, taking the details, cross checking them…. that’s expensive and involves huge costs and then one makes mistake,” Standing told Business Standard. Having worked closely with several social organisations over the last several decades in India, Standing said that instead of continuing with subsidies, India should opt for a comprehensive basic income scheme. Whether it will be universal or not should depend on resources, he said. Giving an example, Standing said India could try a basic income support for tribal families, who are the most vulnerable and have one of the lowest incomes in the country. “Out studies and pilots have shown that a basic income to the tribal community made a huge difference,” he said. He said a basic income should be implemented only after subsidies are phased out. But that phasing out should be done gradually so that communities do not feel that they are losing out, he said. “What we found in our pilots is that when we asked people to choose between ration shops and basic income, initially half of the people chose basic income and the other half PDS. But gradually we found that people who had opted for the PDS were meeting the people who were getting basic income, asking if they can change,” Standing said. Standing said all the income transfer schemes currently being implemented in the country, be it Odisha’s KALIA or Ryuthu Bandhu of Telangana or the Centre’s own PM-KISAN, have some or the other problem. “But, the good thing is at least the policy makers are moving towards this direction,” he said. He also disagreed with the notion that giving basic income to people makes them lazy and shun work. He said instead of focusing on disastrous programmes like MGNREGA, govt could try out basic income scheme that provides dignity of life, independence to the female members, improves health and education standards. “Unlike common perception that giving a basic income to a person would lead to rise in alcohol or tobacco consumption in rural areas, pilots done by us in various parts of India show that it is the other way round," he said. Praising the Sikkim experiment, he said it could be the first state government to have a working basic income model. On universalisation of basic income, Standing said it should be comprehensive and not exclusionary.